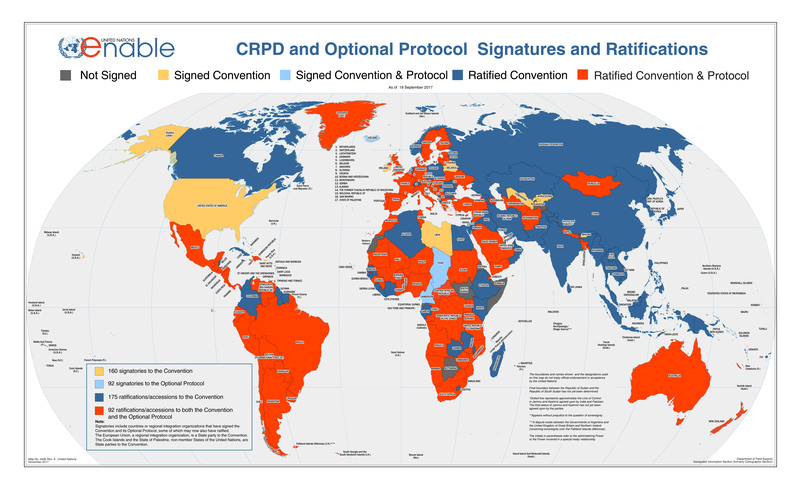 The Convention on the Rights of Persons with Disabilities and Optional Protocol entered into force on 3 May 2008, after the Convention received its 20th ratification, and the Optional Protocol 10 ratifications. This marked a major milestone in the effort to promote, protect and ensure the full and equal enjoyment of all human rights and fundamental freedoms of persons with disabilities, and to promote respect for their inherent dignity. The Secretary General will convene the first meeting of the Conference of States Parties no later than six months after the entry into force of the Convention, which will elect members of the Committee on the Rights of Persons with Disabilities. This Committee on the Rights of Persons with Disabilities shall be established at the time of entry into force of the Convention, and shall consist of twelve experts. After an additional sixty ratifications or accessions to the Convention, the membership of the Committee shall increase to a maximum number of eighteen members.